Welcome to the Joy of Dance Ballroom Certification Program! It’s your success and it speaks for itself! All of our graduates have gone on to meet, and often exceed, their original goals as: studio owners, competitors, instructors, performers and social dancers. Train to Teach. Train to Perform. Train to Master. The complete program runs for 16 months. It includes all twelve American Style dances and is divided into 4-month terms, building a solid foundation for three dances per term, consisting of technical knowledge, body awareness and the vocabulary to dance and describe them as both leader and follower. We are proud to teach the internationally recognized DVIDA syllabus. Our students are required to participate in a Mid-Term and Final exam for each dance. Exams consist of a dance demonstration and a verbal, theoretical component. 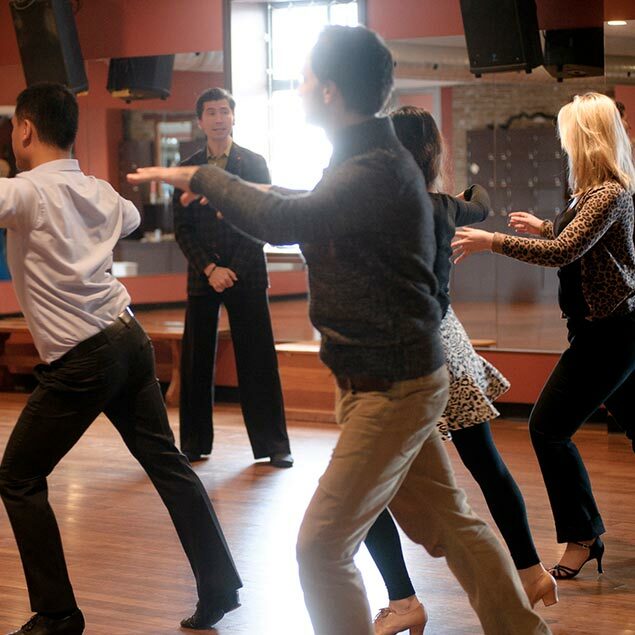 They are modeled after the professional exams conducted by the Canadian DanceSport Federation benefiting all of our students, with goal setting and structure, not only those interested in pursuing a career as an instructor. Our program hours allow for students with established family and work commitments, to participate. This is the most time and cost effective way to achieve your ballroom dancing goals. Wednesdays 8-10:00 p.m. & Sundays 12-2:00 p.m.
Dance is the fastest pathway to joy. Our Ballroom Certification program is the most cost effective and fastest way to becoming a great dancer. JOIN OUR GREAT COMMUNITY NOW.